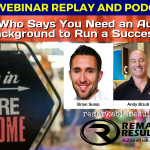 Now visit with Brian Sump from Avalon Motorsports and Andy Bizub from Midwest Performance Cars as they share their strategy for growing their business. 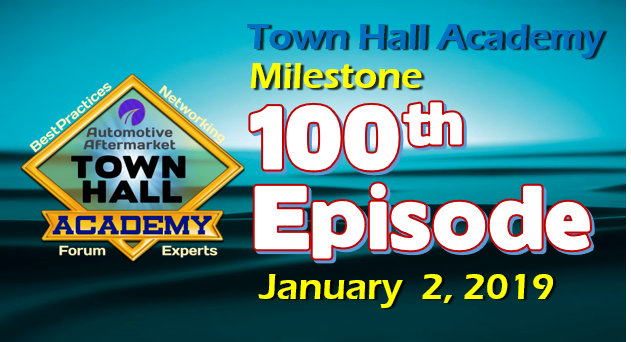 This is an interview like no other you’ve heard here on Remarkable Results or the Town Hall Academy for that matter. This interview should open your eyes because Brian and Andy did not grow up in the business. They were not technicians with a dream of owning their own shop. Brian was a professional football player and Andy was a commodity trader. They grew their business without the knowledge of the industry. 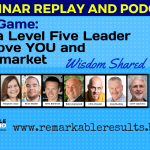 They share their strategies and tactics that have shaped their continuing success. Brian and Andy basically became the CEO of their business. We talk about that a lot on the podcast. They used their people, network and training to learn, lead and grow their business. So there’s the rub. Why are there so many legacy aftermarket professionals in the industry struggling when these ‘outsiders’ who acquired going shops are at the top of their game? Find out. 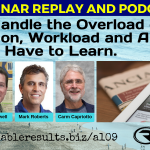 THA 109: How to Handle the Overload of Information, Workload and All That You Have to Learn. We are in deep talking about how they deal with getting things done, keeping up on their learning curve, dealing with an overstuffed ‘In-Box’, prioritizing, delegating, learning, neural pathways, and exercise, just to name a few. Guaranteed you’ll pick up at least one thing on helping you become a more organized and effective person. RR 403: Lucas Underwood – Take Ownership and Learn from your Mistakes. Find Humility. Lucas Underwood – Take Ownership and Learn from your Mistakes. Find Humility. There are a lot of responsibilities being a business owner. You have to re-think or get advice if your policies or strategies are not working. This episode does open the discussion on self-improvement and learning from your mistakes. 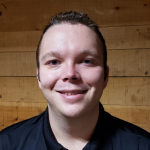 Lucas Underwood is an Automotive diagnostic specialist and shop owner. He owns L & N Performance Auto Repair, Blowing Rock, NC. 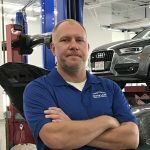 We talk about supporting post-secondary education, technician training, the importance of communicating with your team, staying current with customer needs such as texting and what are his success secrets at this time in his life. Lucas is a millennial shop ower for the last 10 years. The road was not paved in gold. Think of this podcast like 9 five minute Ted Talks. Here are the topics covered, Listening, Resilience, Learn to be a CEO, Perseverance, Invest in your Staff, Delegate and Get Out of the Way, Be Your Word, Have High Expectations of your Team and Train Within. My guests each chose their topic and were given five minutes to present a succinct narrative for you. Judi Haglin, from Haglin Automotive, Boulder CO, Shelle Bennett, from Mike’s Kars in Gettysburg, PA and Kelli Weatherby from Accurate Automotive in Mesa, AZ. These three ladies are members of an ATI twenty group that is called Leading Ladies. They are proud of their numbers. They are the top twenty group in performance within the ATI program. How is that for ‘strength in numbers’. We had a really relaxed and wide open chat in the AAPEX18 Studio where we touched on the disciplines they have in their 20 group, what they believe is the secret to a successful business, finding your humility will change your world, and why the fear of sharing hold businesses back. There is plenty more especially the talk on the secret sauce. 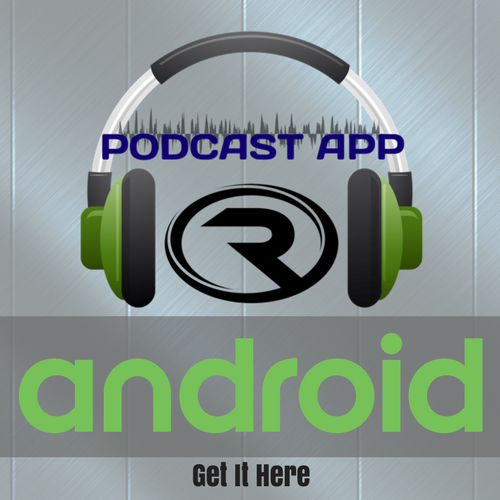 RR 388: Re-Inventing You! A Personal Story Of Prolific Change. Re-Inventing You! A Personal Story Of Prolific Change. Carlo Sabucco from Sils Complete Auto Care Centre, a successful 8 bay shop on the east side of Oakville, Ontario. This is episode offers some in your face and blunt stores about failure, adversity and managing your ego to get to the next level. You cannot be successful in the changing aftermarket if you do not have the CEO mindset. Your thought process should match the level that you want to be at. There is no downshifting gears when you are climbing a mountain. 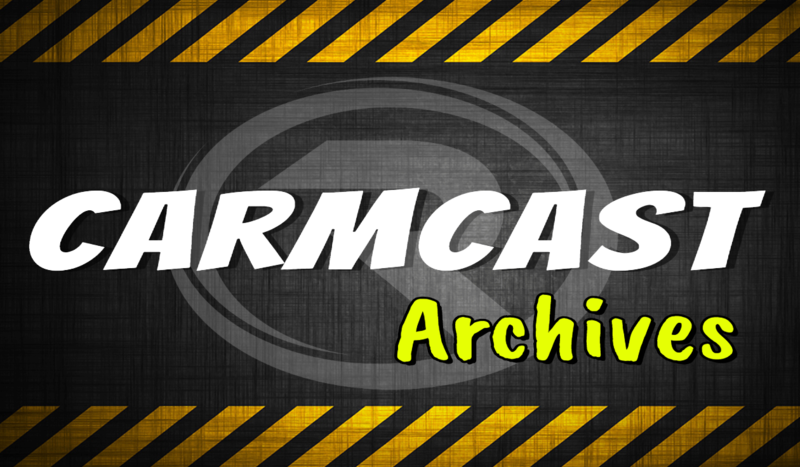 Carlo offers one of the most transparent interviews I’ve ever done on the podcast. He shares his romance of selling his business and then he said no. That experience rejuvenated him and allowed him to re-invent his mission and vision about his business and the industry. One of Carlo’s personal disrupters in his business in 2019 is to take his entire staff to Vision KC. He knows that the future will be shaped by what we do today. Too many shop owners ask for help but never implement. He says they’ll be left behind. Have you ever said I need to give my people the freedom to spread their wings and make more decisions? Ever wondered why they won’t. It could be because you are a micro manager. If you are a micro manager discover why you need to stop. 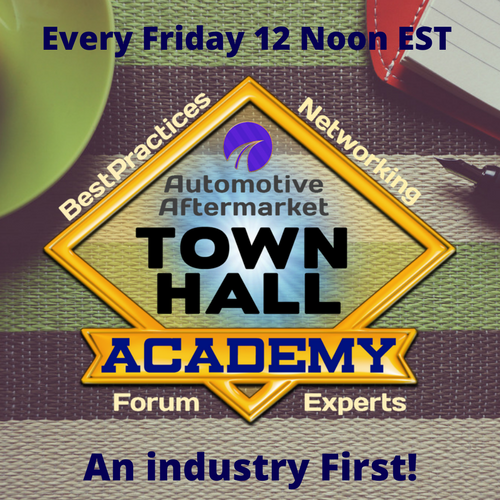 Sharing their first-hand experience is Maryann Croce of Croce Transmissions in Norwalk, CT, and smalllbizvantage.com, Dennis McCarron, Executive Director of Dealer Strategic Planning and Tom Lambert, President of Shadetree Automotive. 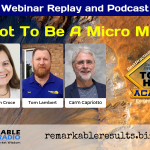 These three have the experience to share with you how and why you need to stop being a micro manager and become a strategic leader and get your team totally engaged in your mission, vision, and purpose. Warning this academy episode just may change your life. 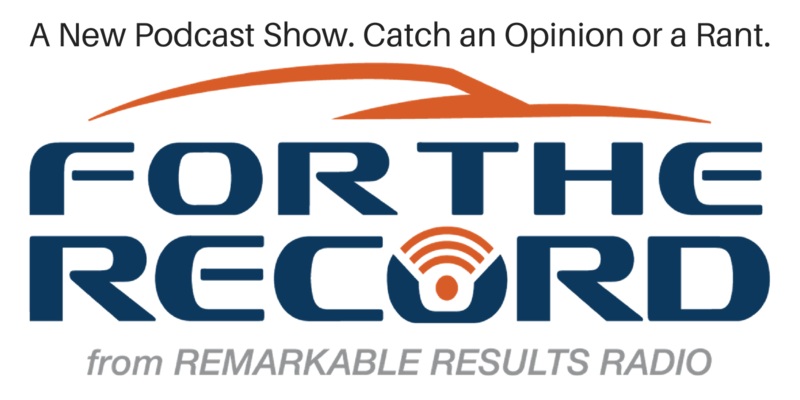 Dr. John Passante – You Can’t Handle The Truth – The Power of Performance Reviews. John Passante is a legacy automotive aftermarket Human Resource professional and the President and CEO of The Organizational Development Group. 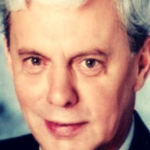 He’s worked with and for some of the biggest names in our industry including Monroe/Tenneco, Delphi, Moog and Car Quest. 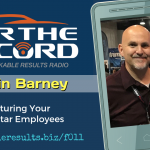 In this episode, he illuminates how performance reviews can become part of the culture of all businesses. He covers high grounds on the importance of leadership, understanding personal goals, culture, strategy, and values in the performance review process. 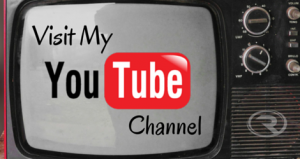 John also shows us tips within the episode on the right way to write your own review. 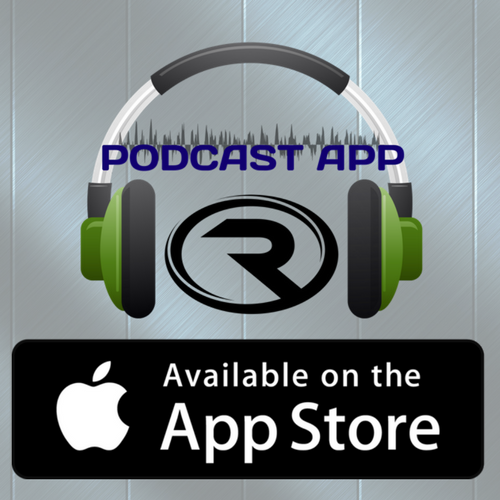 RR 374: Shop Talk 6 – Change or Be Changed – Dean Bailey and Doug Rogers. 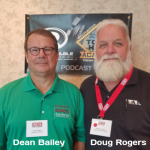 The Roundtable has Dean Bailey, from King’s Auto Service and Hybrid Kings and Doug Rogers, Owner of Autohaus Import both from Raleigh, NC. 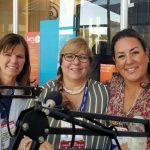 Recorded at ASTE 2018. 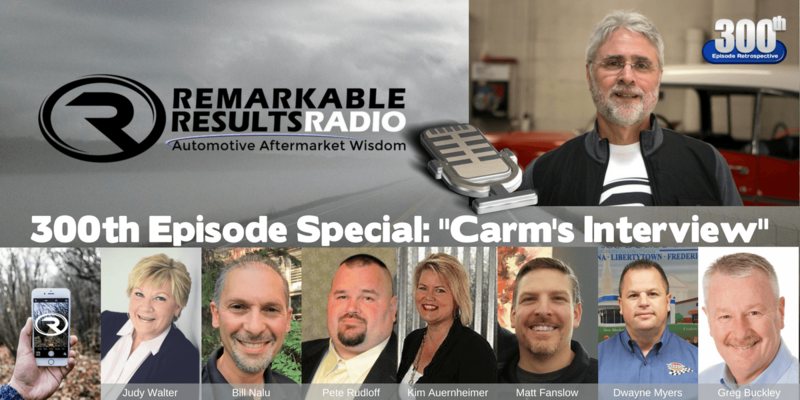 They share their expert take on micromanaging, becoming a stronger leader, building a business culture, autonomous cars, setting the pace in the shop, and finding that niche that will propel you to the future! 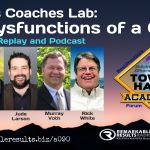 The Business Coaches LAB: The Five Dysfunctions of a CEO. Becoming a Better Leader. Learn about these Dysfunctions: the Absence of Trust, the Fear of Conflict, the Lack of Commitment, the Avoidance of Accountability and the Inattention to Results. In the LAB is Bob Greenwood from the Automotive Aftermarket E-Learning Center, Cecil Bullard, with the Institute for Automotive Business Excellence, Jude Larson from the ACT Group, Rick White from 180 Biz and Murray Voth, from RPM Training. 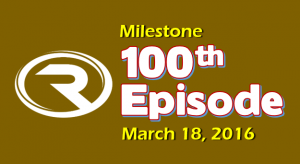 There is a large amount of bonus material and links to their firms and their previous episodes on the show notes page at remarkableresults.biz/a090. RR 370: Darren Garlock Treating Company Culture and Customer Retention Alike! 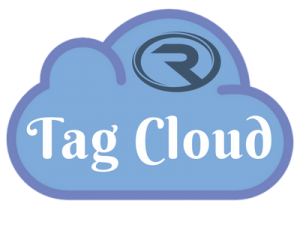 Treating Company Culture and Customer Retention Alike! 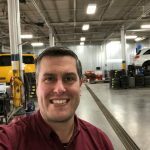 Darren Garlock along with his brother Dan are the owners of Silver Lake Auto & Tire Center a multi-shop organization headquartered in Oconomowoc, WI. Like so many Darren started his career in the shop pushing brooms, pumping gas and washing cars. An early adopter of DVI, Darren explains how he and Dan split their responsibilities and how family, values, culture, and customer all intercede to form a cohesive unit that exemplifies their success. 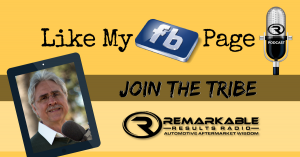 It’s a win-win strategy that needs to be applied to all aftermarket shops. 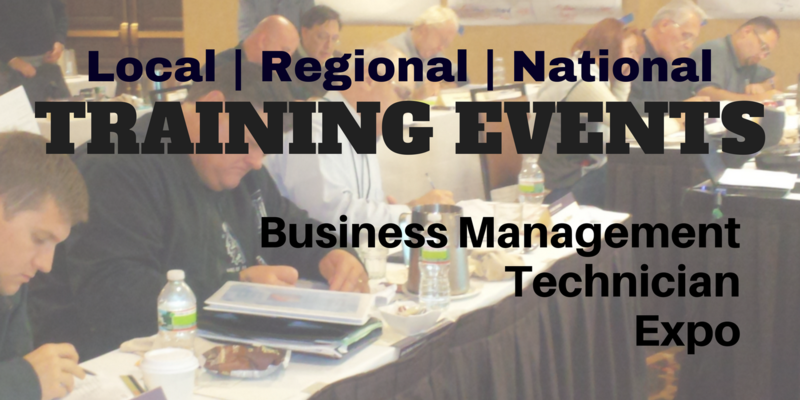 Learn how they are investing in their people, customers and giving back to their community. RR 367: Mike Tatich. John Maxwell Leadership Certified. 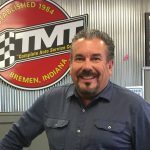 Mike Tatich, President of Tatich’s TMT Automotive Inc., Bremen, Indiana made a major decision after reading many of John Maxwell’s Books on Leadership to become a Maxell Certified Leadership Coach. 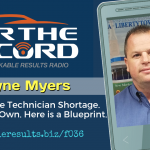 Mike went through the certification program in Florida and discovered that not one person in the program was from the automotive industry. He says leadership training is one of the most valuable commitments you need to make. He is very keen on stressing that Leadership makes a huge difference for the owner and service advisor alike. He wants to get rid of the self-limiting and fearful belief of shop owners who think that they can’t move their shop forward. 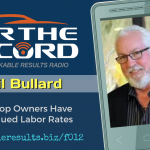 Cecil Bullard from the Institute for Automotive Business Excellence says that many shop owners have Undervalued Labor Rates.